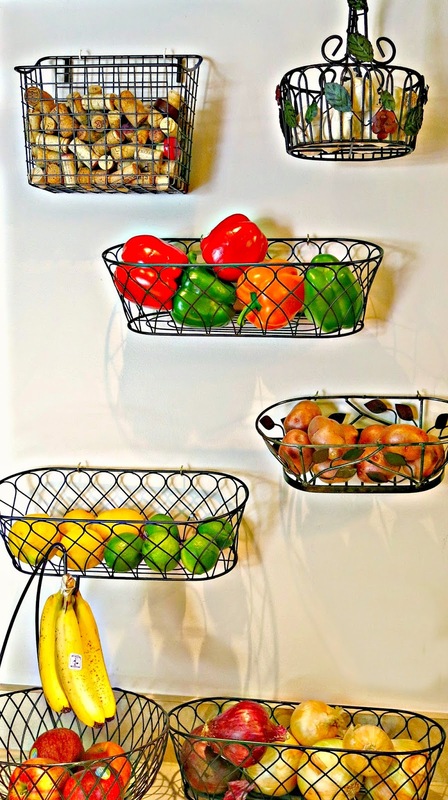 Then I began hanging these wire baskets on the wall of my kitchen nearest my cook top. 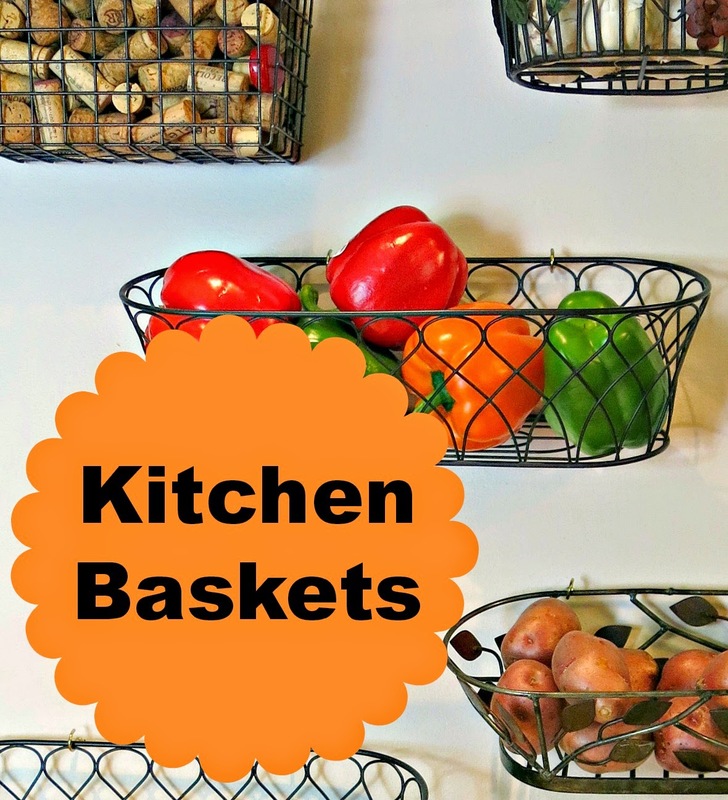 Honestly, need there be any better reason for mounting a wall of wire baskets in the kitchen? Oh, here's one: they're cute, too! It's really easy to do this. 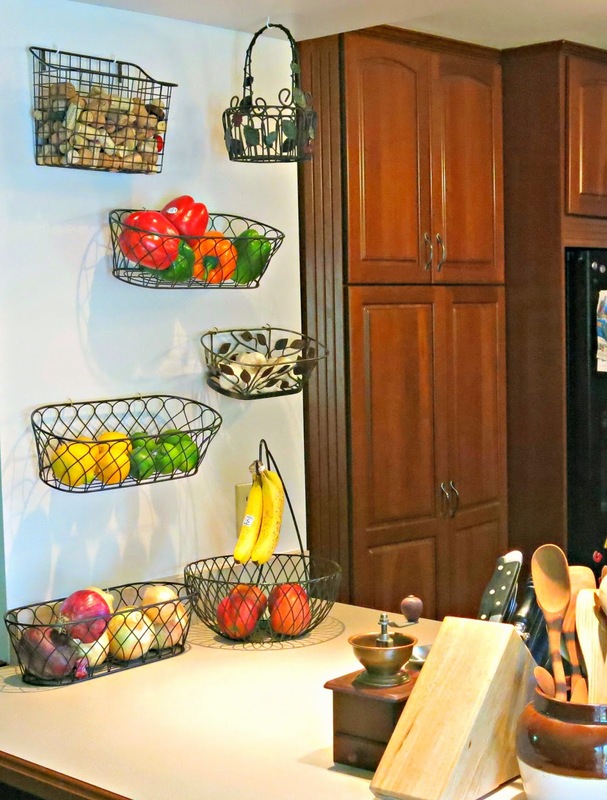 Take any basket you want to mount on the wall, place a piece of masking tape along the top, and mark where you want the hangers to affix. 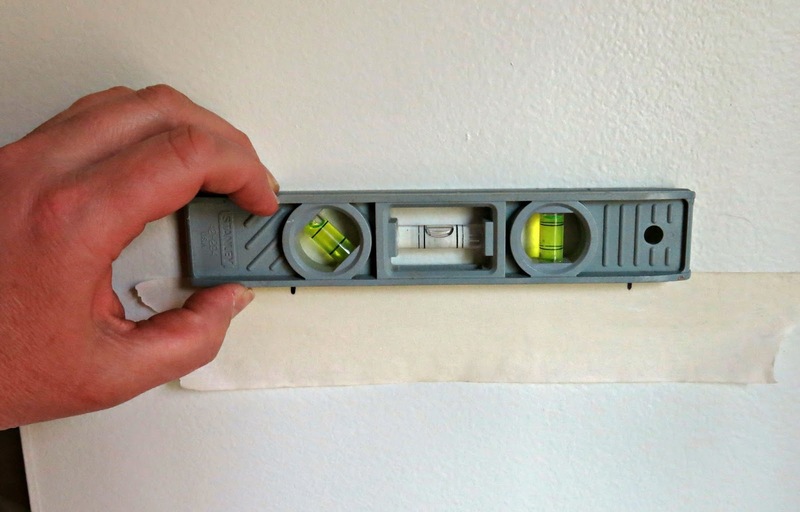 Place the masking tape on your wall and adjust as needed. 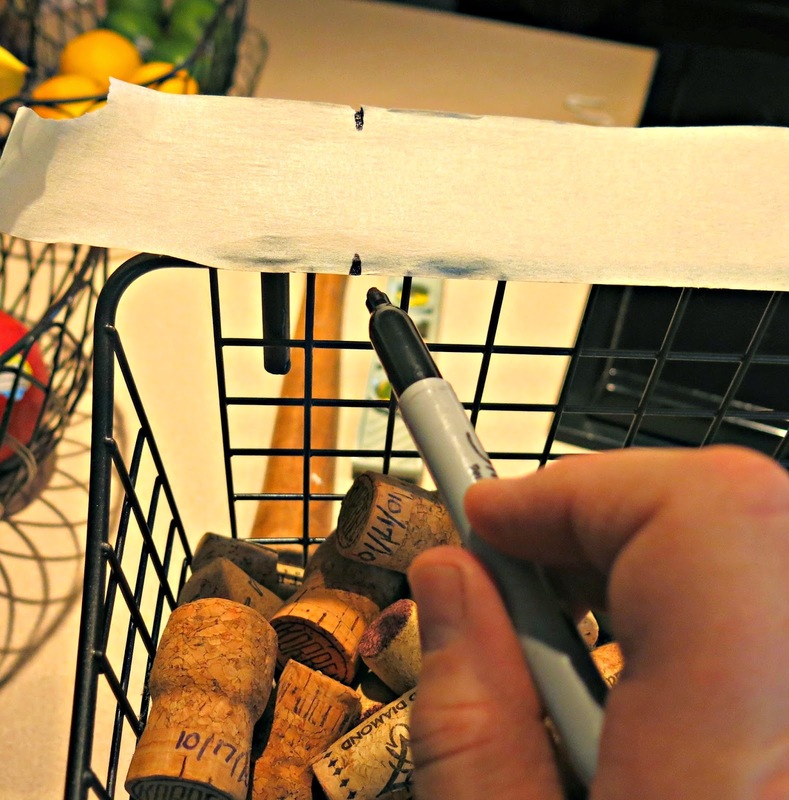 Measure to make sure the marks are centered or positioned as you want them... hold up the basket and see if you like the way it looks in that spot... use a level to ensure straight placement... Basically, you can play around with the masking tape without marring your walls or driving yourself crazy. Once you have everything positioned exactly the way you want it, then it's time to break out the hammer and nails. Or if you prefer, use cup hooks. 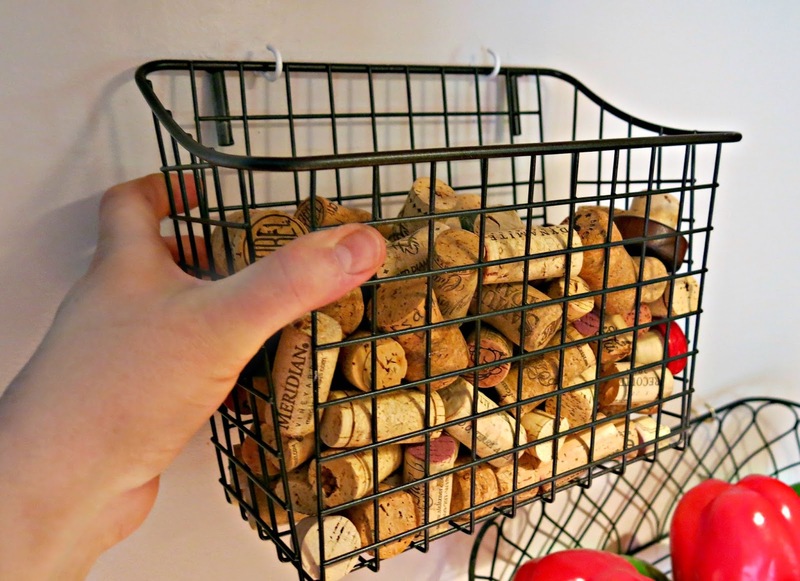 They screw easily into the wall, and they hold the baskets a bit more securely than nails. And voila! Pretty and practical. They look fabulous! I love a product that helps you organize and is pretty too! Awesome vegetable and fruits basket.